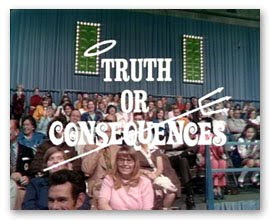 Remember the long-running game show Truth or Consequences? Sometimes in the world of PR, it’s a game known as Truth AND Consequences. Everyone agrees if we lie about, hide or omit critical facts, we will eventually pay the consequences. But truth – or personal opinion – has consequences as well. Some months ago, this debate hit the blogs regarding Whole Foods CEO John Mackey, who penned an Aug. 11 opinion piece for the Wall Street Journal regarding health care reform. It prompted thousands of comments on Whole Food’s Internet forum, and protesters called for a boycott of the store. Mackey certainly has freedom of speech, freedom to his opinions. But were the public relations implications – and the financial ripple effects – worth sharing those opinions in such a public forum? Health care as a philosophy is certainly tied into Whole Foods’ mission, but taking a political stance may have unnecessarily alienated too much of the customer base. The jury is still out. Rush, as a nationally-known public figure and entertainer who often says polarizing things on the airwaves, is either worshiped or vilified. Anyone entering into a business relationship would certainly be within their rights to weigh the benefits vs. the risks of teaming up with a person whose larger-than-life reputation could impact the value or operation of a franchise. It shouldn’t come as any surprise when a public figure cannot separate unrelated business dealings from his or her reputation. We cannot separate a pastor’s / CEO’s / radio host’s personal opinions or private behavior from their public responsibility to their trustholders. They can’t live their lives in compartments. Is that fair? Not always. But it’s the way it is. Public figures have always been scrutinized and held to higher standards. With today’s 24/7 media, now more than ever, freedom of speech does not guarantee freedom from the consequences of your speech. Attaining the APR turned out to be one of the most rewarding endeavors I have undertaken. 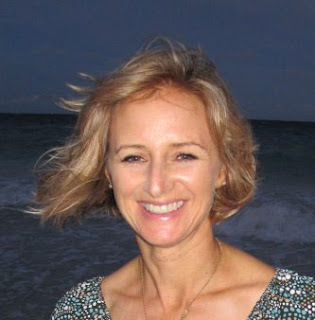 I have been practicing PR professionally for over 15 years and have always strived to stay informed and updated. As a result, I was astonished at how much I learned going through this process and the impact it has had on my daily practice of public relations. It is true that much of the information you review in preparation for the APR covers topics you have “learned” before. The difference is that this process forces you to actively apply the details of this knowledge to your real life practice of the profession, which takes your learning to a whole new level. Now that I’ve completed the process, I fully realize that the APR designation is much more than three letters after your name; it symbolizes a deeper level of commitment to the profession, the public and to your employers/clients. Public Relations is ever changing – and as it becomes more integrated with marketing and advertising, we are starting to see many new facets of PR professionals. So what constitutes as a PR professional? We’ve discussed the definition, but what about types of people? Types of personalities? We will never all be the same, but we might have some of the same traits. 1. ‘Dude I can’t put down my BlackBerry/iPhone/snazzy smartphone‘: Admit it. You check it incessantly. You have to be on all the time. You’re checking social media channels, Google Alerts and national media coverage. If something negative hits, you need to be ready. If a client pings you at 2 a.m., you might be expected to answer. It might vary depending on your industry, but clients come first. In associations, members come first. 2. ‘Proud, Honored and Words Like it Make Us Cringe’: It’s hard to look at those words in a press release and not take out the red pen and cross it out. Innovative and Synergy are starting to become over-used words as well. As PR professionals, we don’t want to have the same type of press release as another, especially a competitor. It’s hard to believe something is ‘incredible’ if everyone else is shouting the same thing. Make your client unique. 3. ‘Grammar Pet Peeves’: Mine is ‘your’ v. ‘you’re.’ Yours might be ‘loose’ v. lose. Many of us are writers at heart, and a large portion of our job revolves around it. I’ve noticed many have quirks and like things done a certain way – and grammar is always one of them. So what would you add? What are your signs of a PR professional?